The Ashes, perceived as the pinnacle of Test cricket for both England and Australia, will be played for the 70th time this year, starting November 23rd at the Gabba. With almost 135 years of history behind them, the sport's oldest rivals will pit their wits against each other for the urn. This year, Joe Root and Steve Smith's men will lock horns at five separate venues with the five-match Test series concluding on January 8th at the iconic Sydney Cricket Ground. Hosted in turn by England and Australia at least once every four years, both the teams have won 32 series each and five series have been drawn. 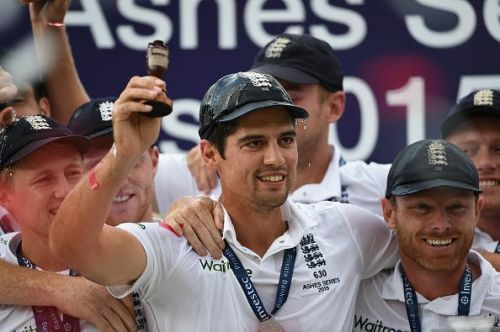 Having won three of the five Tests in the 2015 series, England are the current holders of the Ashes. Sparks fly and emotions run high when players from both the countries take the field and fight it out to win a cricketing contest like no other. One gets engulfed in feelings of denial, anger and depression. England's seven-run defeat against Australia in the one-off Test of 1882 stirred Reginald Shirley Brooks' dark emotions. A journalist by profession, Brooks echoed the emotions of hundreds of thousands of English fans, in a mock obituary that was carried in the Sporting Times. The text read, "In affectionate remembrance of English cricket which died at The Oval, 29th August 1882. Deeply lamented by a large circle of sorrowing friends and acquaintances, R.I.P. N.B. The body will be cremated and the Ashes taken to Australia." Following England's victory in a Test in Australia the following year, a cricket bail was burned in memory of the Ashes and put in an 11-inch terracotta urn. A few Melbourne ladies then gave the urn to Ivo Bligh, the legendary England captain. This is how, in the game's finest tale, the very concept of 'The Ashes' was spawned.